About a hundred dollars for four cards... works out to be $25 a card... or if don't count the base cards, $50 a hit. Is this product worth it? Well, it does call itself the Ultimate Collection. This pricey brand of cards has just recently released. 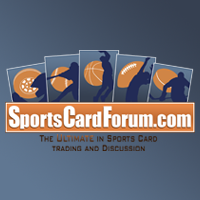 With its small footprint and high price, you've got to expect every card to pack a wallop. Today we'll examine if it does. The Ultimate Collection base cards are more ornate than they have been in the past. It seems as though the graphics this time around are busier. The design of the card certainly centers your attention to the player, but I also feel that it confines the player a bit too much as well. Overall I find the card to be a bit distracting. Even the nice Ultimate Collection logo gets a bit lost on the card. Each base card is serial numbered to 499. The back of the base cards are much more subtle than their fronts... maybe even too subtle. All the necessary information is there along with a short write-up, but there is nothing on the back that is particularly exciting or interesting. Non-autographed rookie cards have a similar design to the base cards, but the blue and silver color scheme works a whole lot better. These cards are bright and vibrant - somehow with this color combination the cards open up a bit more and become much more pleasing to the eye. 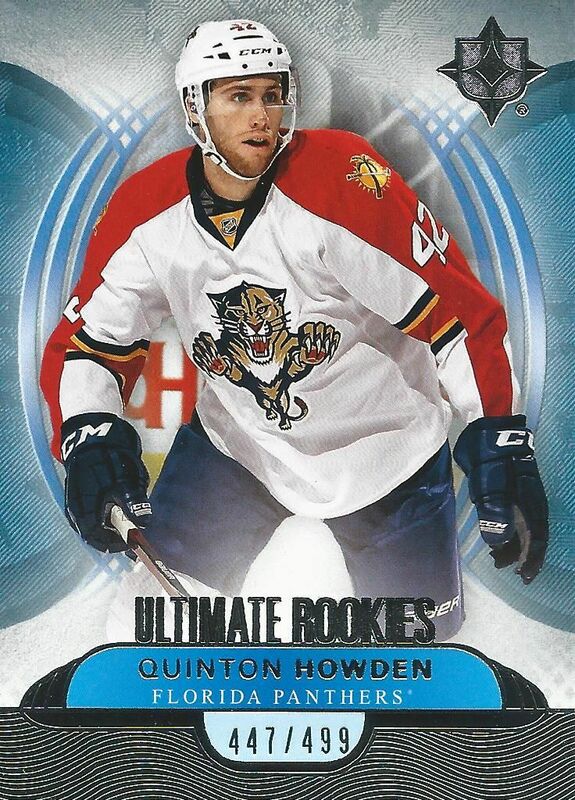 These Ultimate Rookies have their own logo in foil and also feature serial numbering. 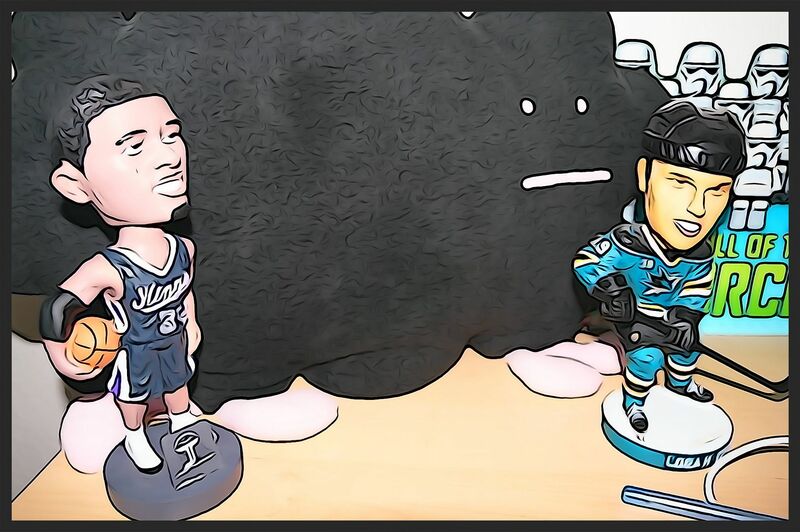 Autographed versions of the Ultimate Rookies can also be found in the product. Again, there is a similar design here but with a different main color scheme - in this case - gold. The autograph is on-card, which is a great thing for such a high-end product. I think the blue design looks the best, but this one certainly comes in second. Each box/pack of Ultimate Collection will yield two hits. Often times collectors will find one autographed card and one memorabilia card. I've seen packs with two autographs, but those seem to be a bit more uncommon. 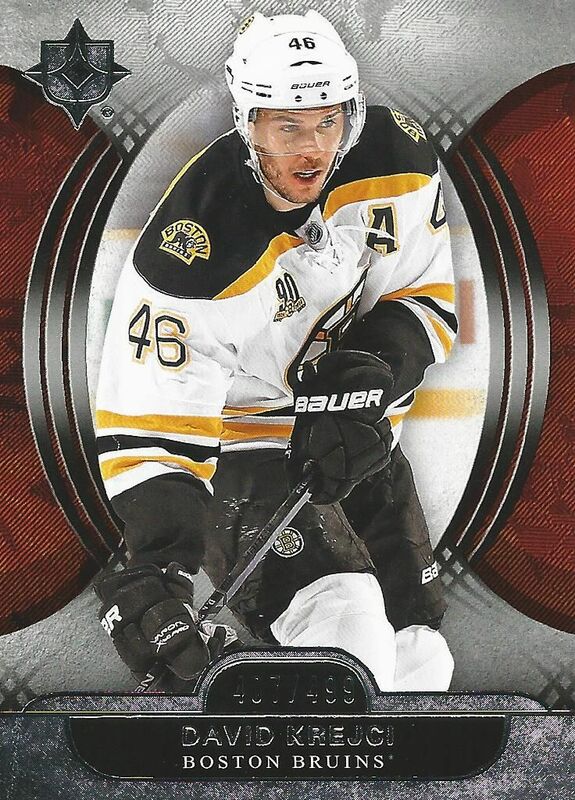 My autograph hit was a rookie card (which is pretty typical), but my memorabilia card was this pretty sweet patch of Alex Galchenyuk. This card is a Debut Threads Ultimate Patch, and I've got to say that it is a very nice chunk of material. The card looks great because of the quality of the patch. If it were a one color, center of the number job, it definitely wouldn't be as nice though. The card is numbered to 100, which I think is quite high. The back states that the patch is event-worn... so that's a bit of a bummer. Ultimate Collection has a ton of different hits to find within it. Since I opened just one pack, there wasn't much to see. But rest assured that Ultimate Collection has plenty of variety. 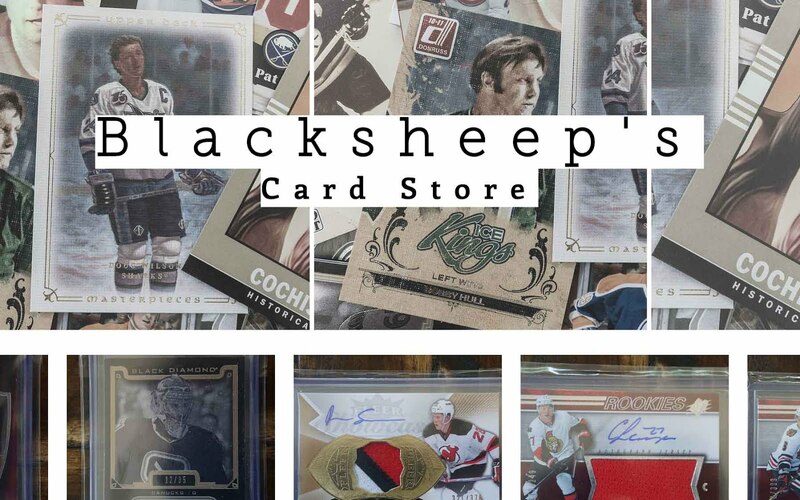 There are multi-memorabilia cards, throwback autographs, as well as NHL Shields to pull. So do I recommend Ultimate Collection this year? I actually find it hard to recommend unless you're a collector with very deep pockets. I've seen so many packs opened with a mediocre rookie autograph and a jersey card of some type. And that person just paid a hundred dollars for it! The typical break of Ultimate Collection will not get you anywhere near your money's worth - even if you pull a decent auto or patch card. I really like the Galchenyuk patch I got, but I could have gotten my entire pack for much less than $100 on the secondary market. If you're going to break Ultimate Collection, I'd say break a case of it. Then at least you're guaranteed to get a few stellar cards for your money. Box by box of Ultimate is a very risky proposition. Wow 4 cards for 100$... way too much for me. Nice Galchenyuk though. To pricey for what you get, i mean there are decent hits but it dosent add up. nice hits! i've never seen this product opened! great break as always! These cards just look stellar! + The foil design do always make the cards look classy. - The cards in the boxes are almost never worth the money you bought them for! Nice break and nice review! The box was decent but the Galchenyuk patch was pretty nice! I would't buy this product this year... But nice Galchenyuk! 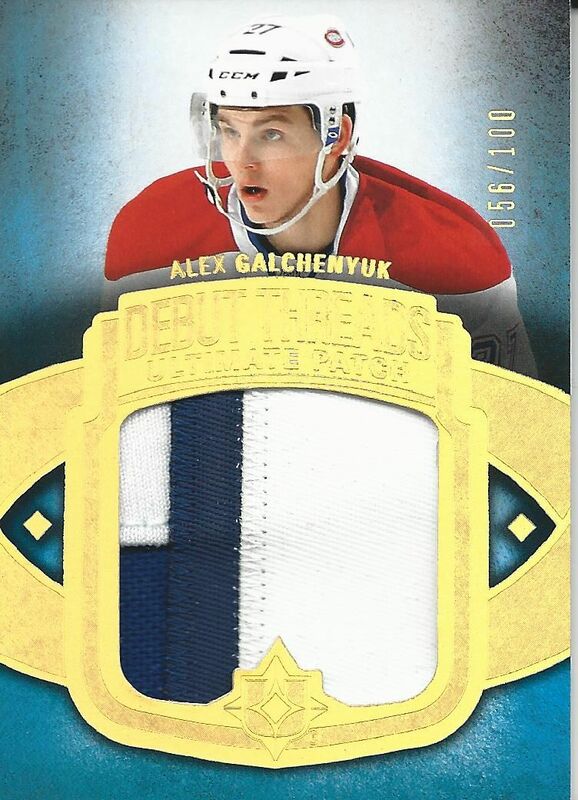 NIce galchenyuk but the problem I have with ultimate is I find it very difficult to recuperate the price of the box. Nice overall design though. not really a big fan of these lottery boxes. 4 cards for $100 is just too big of a gamble for me. Great review and love your videos. I think this product delivers, in a sense that every frickin box of cards is $100+ and Ultimate Collection has some very very nice hits. I'd much rather buy this than a 4 pack/hit box of Certified or Crown Royale. There's a quality there than most Panini products just doesn't have. Ultimate collection hockey is probobly my least favourite product. To get an average of two hits for such a high price range, and the boxes that I have seen broken were not that asthonishing. Nice hit with the galchenyuk. You keep getting lucky! Just came back from a vacation and was it nice to watch all the new boxes with the amazing hits and great review.